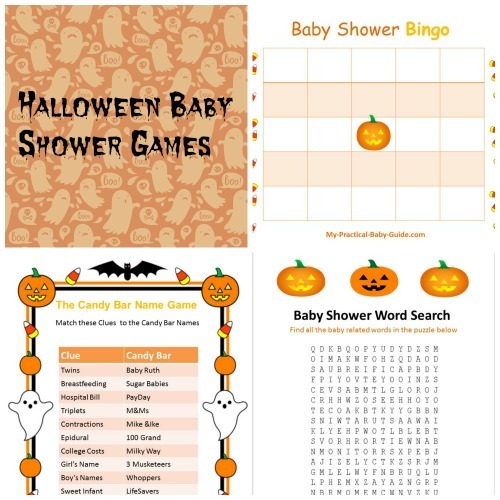 Looking for free printable baby shower games to keep your guests entertained? As hostess, you want to make sure you choose your games well because you want all your guests and mommy to be to enjoy the party. 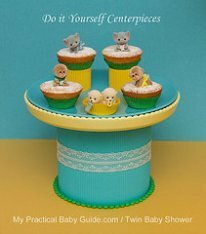 After a short research on the web, I found these free printable baby shower games that will help break the ice and get people to relax, talk and laugh. 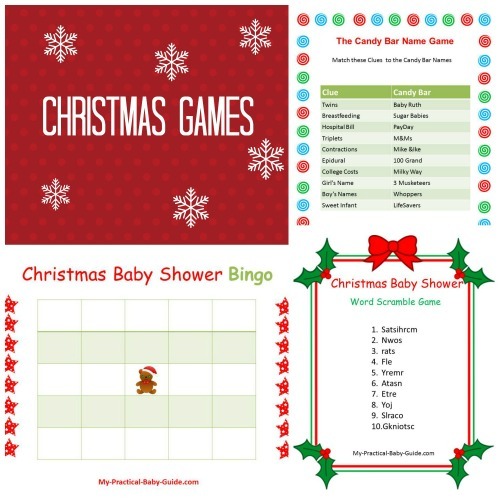 Here are my favorite printable baby shower games, they are free and easy to download. 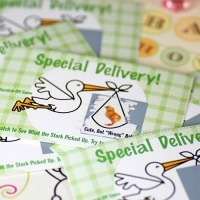 Print baby shower game around the world cards for each guest. 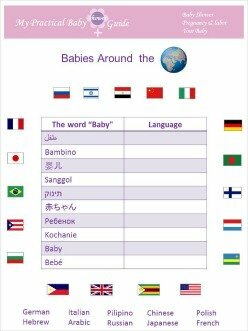 Ask them to match of the 10 languages to the corresponding word for "baby". Ask them to match the candy name with the clue that is given within 3 minutes of time. 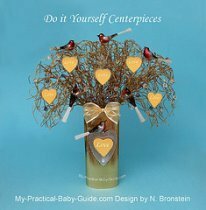 Have you visited my Etsy Shop? Well, it's about time and especially for you we have created a coupon. Yes, especially for our SPECIAL VISITORS. 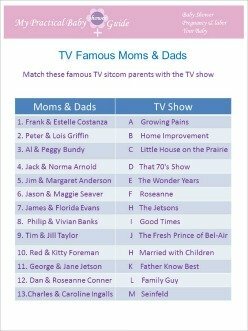 Print baby shower TV famous moms and dads game cards for each of your guests. Match these famous TV sitcom parents with the TV show. Put the letter of the TV show in the space following the TV parents names. Give your guests a few minutes to fill in the blanks, the guest with the most correct answers wins a prize. Purchase 10 jars of baby food. Take the labels off the jars and mark the bottom of the jar with a number 1-10. 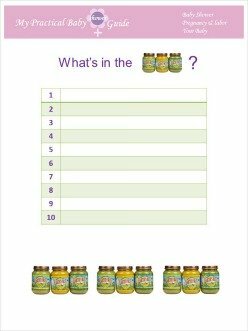 Write numbers 1 through 10 on the inside of the appropriate labels. Put aside in envelope. 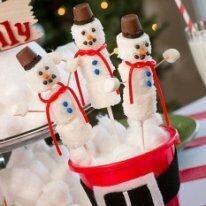 Set them down in an area where guests can examine and smell them. Have everybody write down what type of baby food they think is in each jar. The guest with the most correct answers wins this game. This game is perfect for any kind of baby shower themes. Put different baby items on the tray and pass it around your guests. Let each guest look at it for a reasonable period of time. Cover the tray up and ask your guests to write down as many items as they can remember.The guest with the most correct answers wins a prize. Go to the store and buy some baby's products, ask your guests to bid on how much they think each product costs. 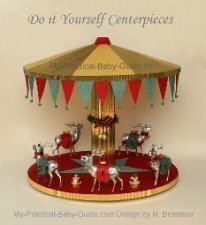 Here you can find a printable list of 6 baby's products to download for free. Give your guests a list of scrambled popular baby related words, ask your guests to unscramble the words. 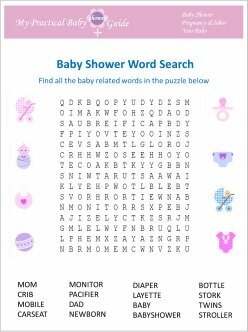 Use this free printable list of scrambled words and a key answer for your baby shower. 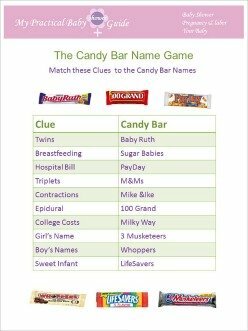 Looking for more word scramble game check our free printable Top Baby Names of 2011 Word Scramble Game. Give your guests a list of adult animals, ask your guests to write the name of the baby offspring for each of the adult animals. The guest that gets the highest score will win a prize. 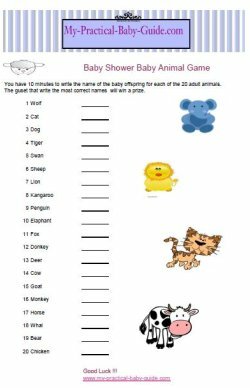 Use this free printable list of Adult/ Baby Animal Names and a key answer for your baby shower. 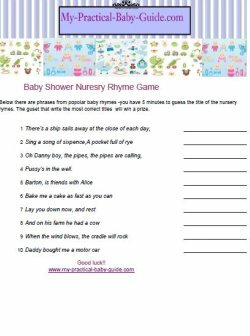 Give your guests a list of nursery phrases from popular nursery rhymes, ask them to write the title of the nursery rhyme. The guest who gets the highest score will win a prize. 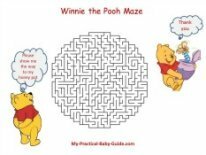 Use this free printable list of rhymes to play this game. If mommy to be concealed the gender of her baby and waited for her baby shower to disclose it, the guests may have a lot of fun guessing the gender of the baby. In addition they can guess his/her weight and length. Use these free printable cards to play this game. Baby Shower Game Who knows mommy? In this game we will find out who knows mommy the best. 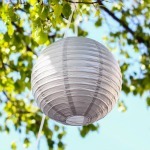 Give your guests a list of questions about mommy to be and ask them to answer them. The guest who answers most of the correct answers will win a prize. 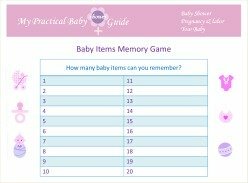 Use these free printable list of questions: Who knows mommy? 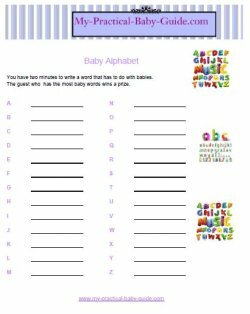 Ask your guests to find baby related words to the phrase in the sheet. The guest who finds most of the related words will win a prize. Use this free printable baby word scrabble to play this game. Use this free printable clean sheet to play this game. 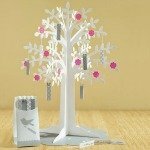 Give your guests a few minutes to reflect on their hopes and wishes for the new baby by filling out our fill in the blank Wishes for a Baby card.